This is the “Detail Timesheet Report” generated for an Admin user. This appears in the same page, right below the “show” button. There will be many more columns to the right of the “Hours” column. Please scroll in your reports page to view those columns. Note: a) If the report appears blank, then there is no data available for the chosen date range. b)If a date is missing in the report for an user then the user has not entered the timesheet for that date. 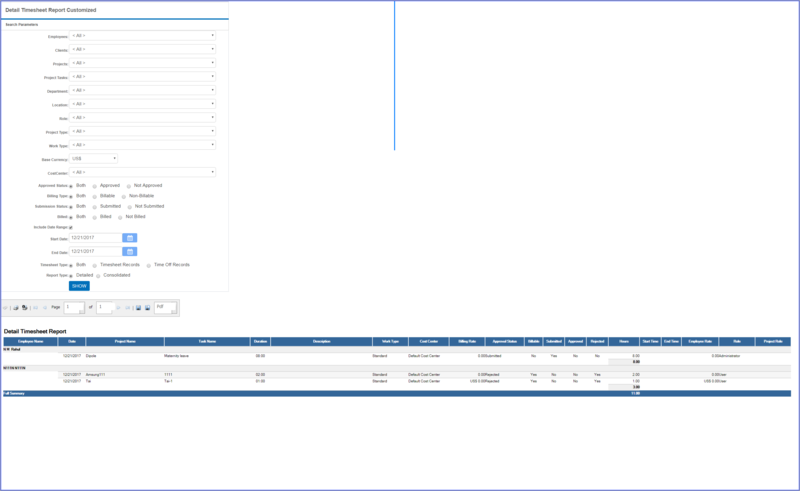 c)This report can be customized to show only certain columns of your choice. Grouping and the level of aggregation can also be customized.